Authentic New York style pizzeria offering whole pies, slices, sandwiches, wings and more. Available for dine in, takeout and delivery. Prime is inspired by the great pizza makers of NYC at places like Di Fara, Patsy's and Best. 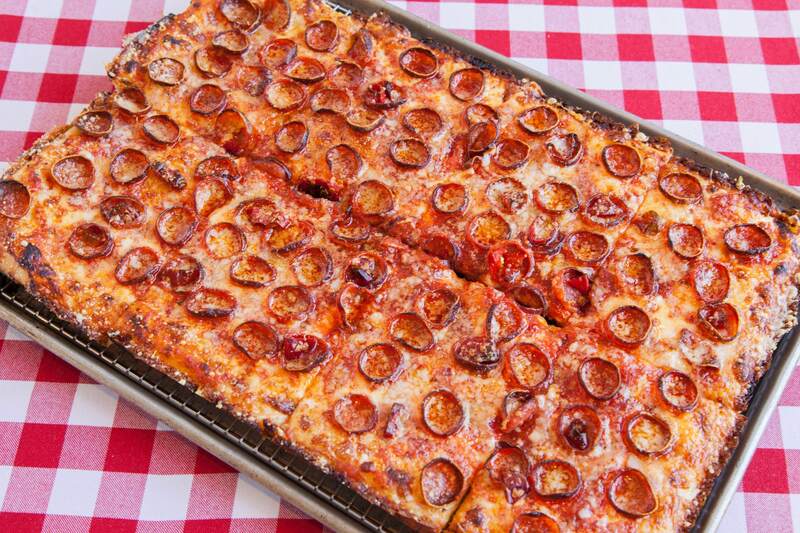 Our goal is simple: to bring truly great NY-style pizza to our hometown of Los Angeles. We start our dough with the highest quality AP and 00 flour, then let it ferment for a full 48 hours to develop that true, homemade flavor. After that, we stretch it by hand, top it with local, California tomatoes and all-natural Grande mozzarella from Wisconsin. No fillers. No gimmicks. Just pizza. 2 slice lunch combo: 2 slices and a drink for $7. Every day 11am-5pm. Prime Pizza is located at 141 S Central Ave; a few blocks away from the Metro Gold Line (Little Tokyo/Arts District Station). For your best route, use the Trip Planner.